It featured very largely in the Irish psyche and culture back in the nineties on account of the controversy surrounding a proposed interpretive centre. During & after this long debate, Mullaghmore became central in our attitude to the environment, specifically the preservation of wilderness, access Mullagh More is the 1420th highest place in Ireland. 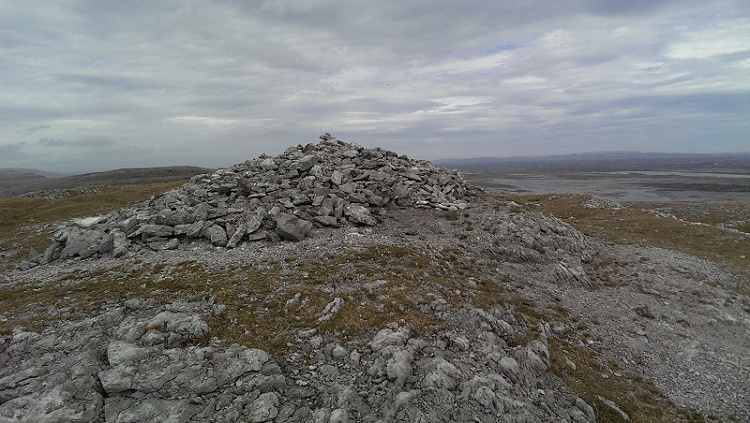 Mullagh More is the second most easterly summit in the West Clare area. Mullagh More situated on the eastern side of the Burren National Park the hill is a swirl of contorted limestone and is one of the most impressive landmarks in the Burren.